The house has a staggered ground-floor plan, which frames three small courtyards around its perimeter. Meanwhile, the first-floor rooms are pushed back towards the northern boundary to make the most of the south-facing aspect. The result is a building that appears as a cluster of grey-brick cuboids. The house is raised above street level to provide protection against potential flooding from the nearby River Quaggy. The main living areas are positioned to the south and are flanked by courtyard gardens at the front and rear. Large openings lining these spaces offer views of the outdoor areas and nearby trees. A guest suite at the northern end of the house opens onto a third courtyard, and a studio positioned to the rear is oriented to capture southern light. 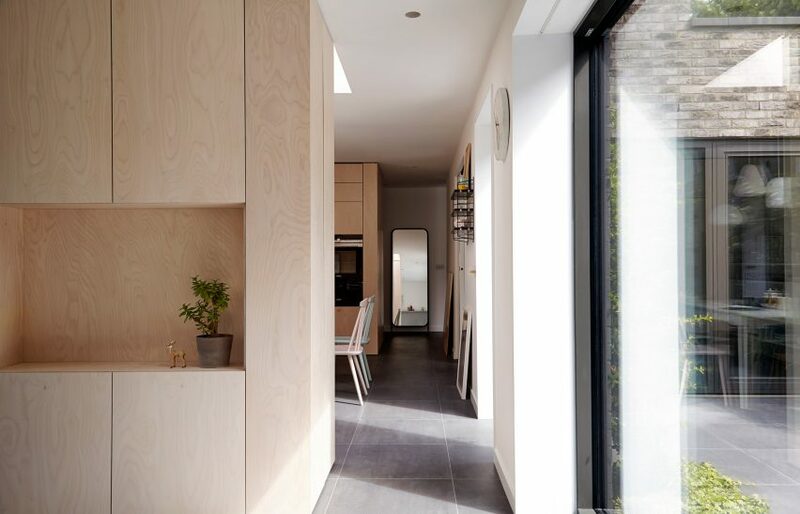 Birch-faced cabinets are used to define spaces within the interior as well as to provide useful storage. 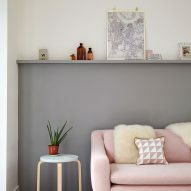 The units feature concealed fixings, creating seamless surfaces that add a warmth and tactility to the otherwise minimal scheme. A curved timber staircase features a large picture window overlooking the street. It leads up to a master bedroom that faces south towards the river and a nearby park. 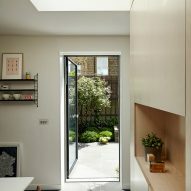 31/44 Architects has previously also completed a red-brick house on another infill site at the end of a London terrace, and a townhouse in Amsterdam featuring a large skylight and sunken living room that was designed for another of its founders. Photography is by Anna Stathaki.